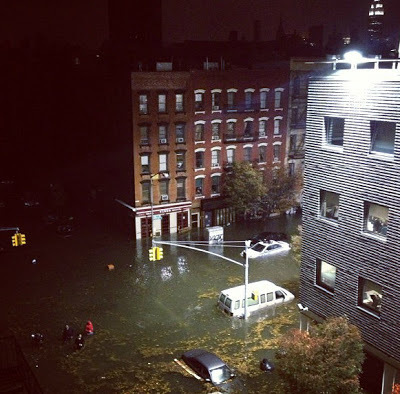 This is Avenue C in the East Village under water. The flood was supposed to get as high as 13 feet over sea level. Manhattan is now without power. This is a disaster. Hurricane Sandy (or whatever the storm is now called) is going to require a Second Life response. We need to consider having club fund raisers next weekend to help those in need.